Knowing the books of the Bible and their proper order won't just give a Bible student the ability to navigate the Bible more easily, it will give them a rudimentary understanding of the Bible's historical flow. It will also make it easier to understand how the Bible is organized and properly interpret the Bible. 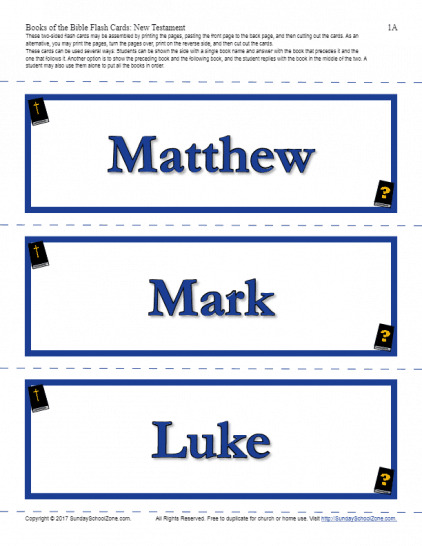 The free, printable Bible activities below can be used by kids and adults alike as they tackle this truly valuable Bible skill. Among the most basic Bible skills is learning the books of the Bible, including the New Testament books. 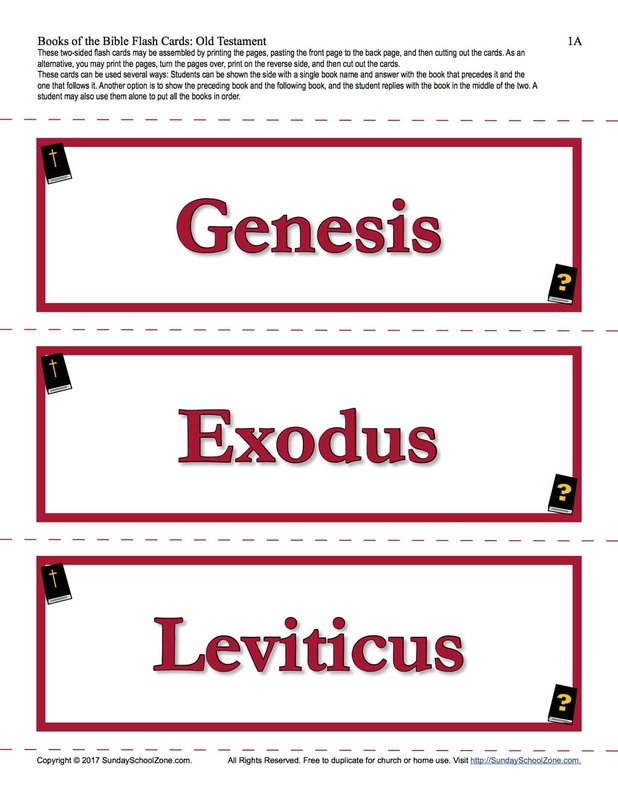 These Books of the New Testament Flash Cards are great for helping kids memorize and review the books of the New Testament and their proper order. Teaching basic Bible skills is an important thing to do with children while they’re young. You can help your kids remember and review the books of the New Testament with these Books of the New Testament Bookmarks. 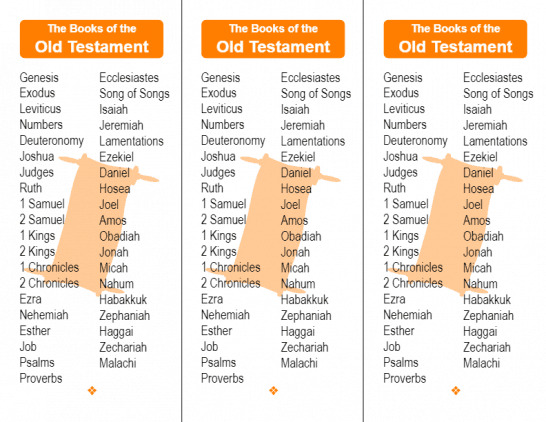 These Books of the Old Testament Bookmarks can serve as a great tool for helping kids remember and/or review the books of the Old Testament. They make great gifts or rewards to give out for attendance or reaching selected goals. 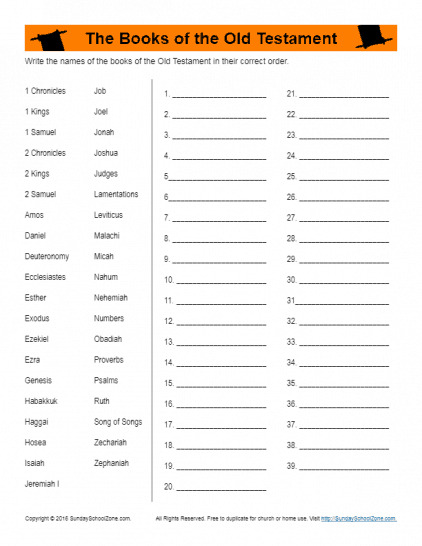 This Books of the Old Testament in Order Activity will help children review and reinforce their learning of the Old Testament books by asking them to write the books in their proper order. An answer page is also provided to make checking the child’s work easy. 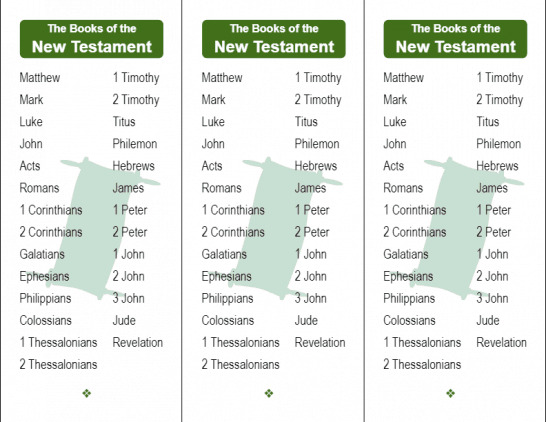 This printable Books of the New Testament in Order Activity can help your children review the books of the New Testament by writing them in the correct order. An answer page is also provided to make checking the child’s work easy for the parent or teacher. Learning the Books of the Bible is an important Bible skill that kids and adults both need to learn. 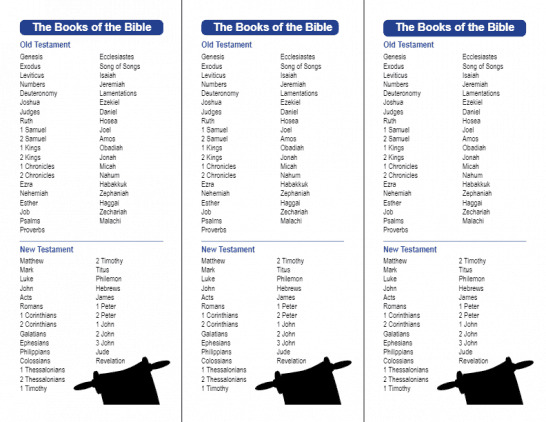 These Books of the Bible Bookmarks are a handy study tool that will assist children as they learn the books and use their Bibles wherever they may be.